Apple is preparing to use drones, indoor mapping, and better car navigation to improve its Maps apps for iOS and macOS, a report said on Thursday. 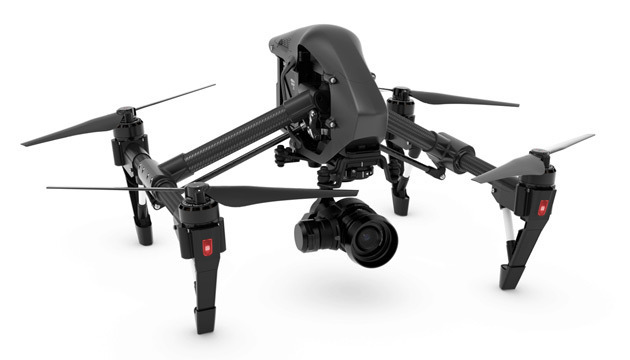 On March 22, Apple secured an exemption from the U.S. Federal Aviation Administration to fly drones from DJI, Aibotix and others for commercial purposes, specifically "data collection, photography, and videography," according to Bloomberg. The company has since committed to official commercial drone guidelines introduced in August. The drones will be used to capture and update map data faster than Apple's current minivan fleet is capable of, one of several sources said. This includes changes to roads, street signs, and construction. To boost these efforts, the company is reportedly hiring robotics and data collection experts, including at least one person from Amazon's Prime Air drone delivery project. The new Apple team is said to be gathering in Seattle, where Amazon is based. The indoor mapping technology, meanwhile, should help people find their way through large-scale public areas like airports and museums. This is why Apple bought startup Indoor.io last year, one source said. Giving the interference buildings can cause, indoor navigation will likely depend on a mix of GPS, Wi-Fi, Bluetooth, and even pressure sensors. In terms of car navigation, the only mentioned upgrade so far includes better guidance when changing lanes. Both indoor navigation and improved lane assistance are being planned for launch next year, but could theoretically be held back.